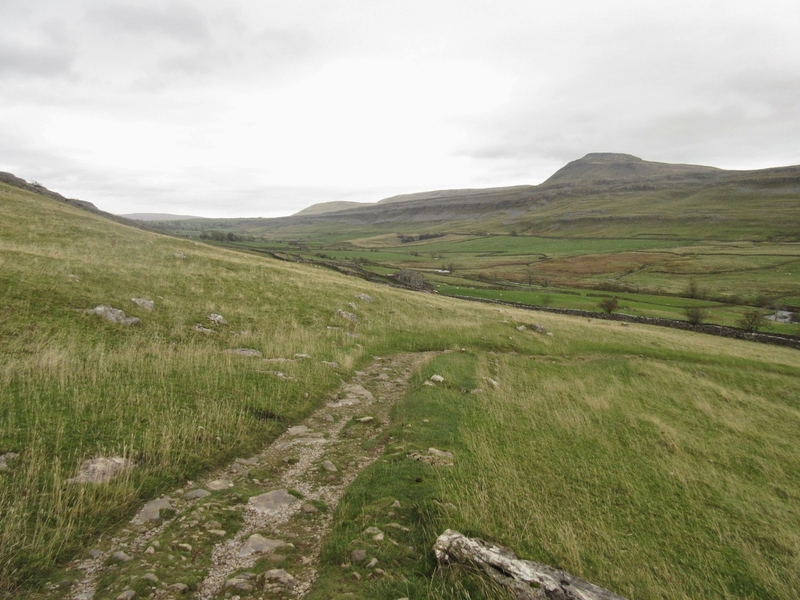 Writing in 1892, Harry Speight considered Chapel-le-Dale to have a ‘larger number of natural wonders than is to be found in any area of similar extent in England.’ This impressive and classic u–shaped valley stretches from Ingleton to Ribblehead; Whernside to the west and the dominating Ingleborough massif to the east. 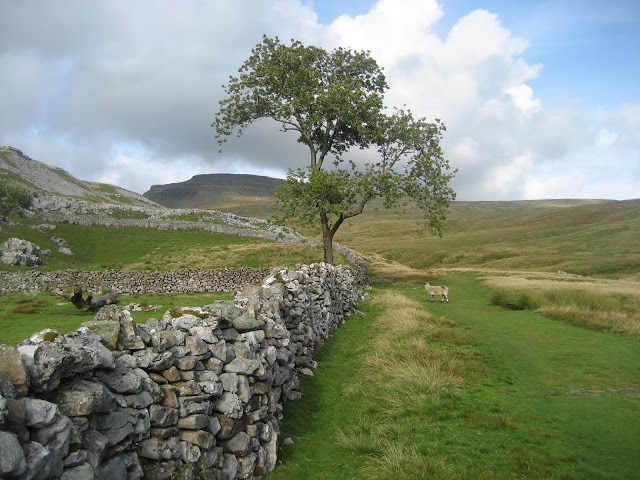 The great limestone benches of Scales Moor and Raven Scars decorate the flanks, with caves, potholes, pavements and isolated boulders dominating the landscape. The origins of the valley date back well beyond the great Anglian glaciation of 460,000 years ago – when river action and earlier glaciations will have begun to carve the distinctive profile and leave the summits of the peaks ever more prominent. Dating of cave features in the dale has shown that, before the Anglian, the valley floor was 80 metres (260 feet) above its current level, with the Great Scar Limestone caves part of a flooded aquifer that was held back by the impermeable rocks south of the Craven Faults. Only the great glaciation and subsequent erosion removed this barrier and scoured the floor deeper – eventually removing all traces of the more ancient cave systems. Small passages do, however remain, and it is fascinating to stand in the Battlefield Chamber of White Scar Cave and consider its age as a remnant of these very ancient cave systems that no-one has ever explored. A series of inter-glacials followed the Anglian, with two warmer periods, the Hoxnian and Ipswichian, sandwiching the colder Wolstonian in between. Many of the cave passages we see today began to be well developed during these periods as dating of stalagmites has shown. 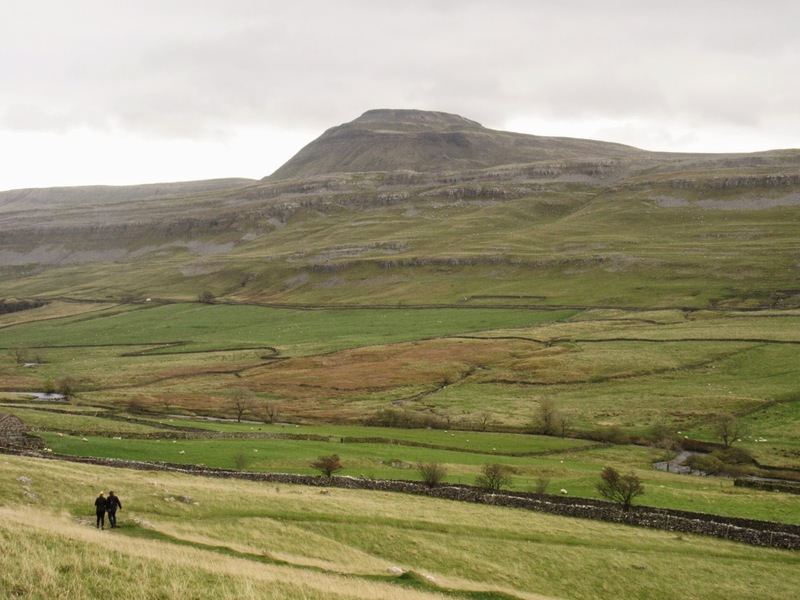 Finally, the Chapel-le-Dale we see today was ‘finished off’ by the most recent glaciation – the Devensian – reaching its peak about 18,000 years ago. Although not as dramatic as the Anglian, the Devensian Ice scoured the floor still deeper – revealing the top of the basement rocks which can be seen well in the various slate and ‘granite’ quarries that punctuate the valley bottom. The ice also scoured the limestone benches clean, leaving the famous gleaming pavements on either side of the dale. The handiwork of the Chapel-le-Dale glacier didn’t stop there, of course. 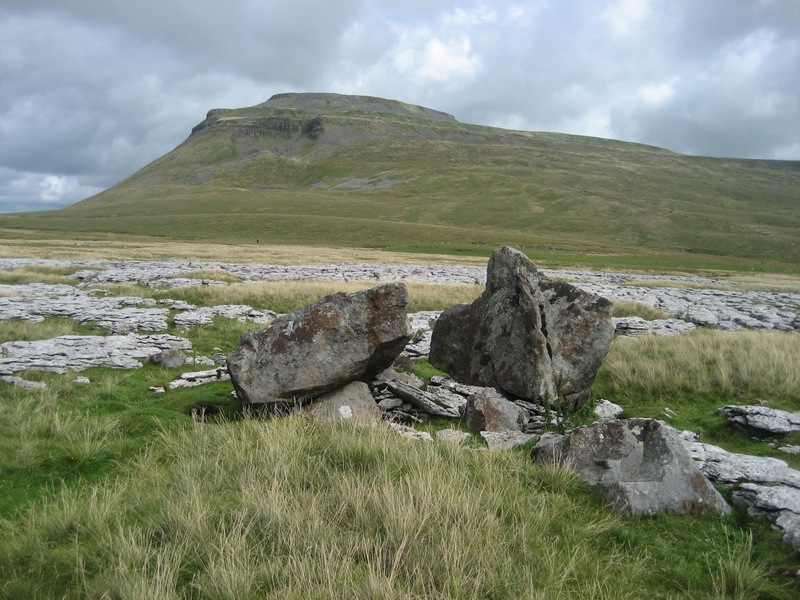 Ingleborough itself was a major obstacle, making ice flow sluggishly around the summit and resulting in a large area of glacial till or boulder clay being dumped to the south of the massif, virtually smothering the underlying limestone. 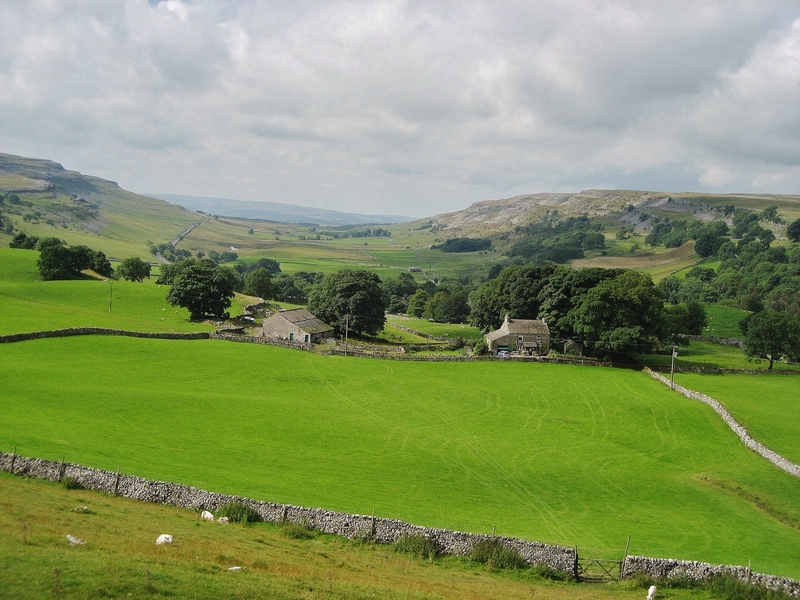 As the glaciers melted from around 16,000 years ago – huge boulders of gritstone and limestone, plucked from the surrounding valley sides, were unceremoniously dumped on the limestone benches and plateaus as the famous erratics so well known to geography students. These boulders present a stark and bizarre appearance in the landscape and it is difficult to believe they have stood stationary through the entirety of world history! Cave formation has been developing before and since the Devensian, and the ice effectively created the current basement point, at God’s Bridge, at which most of the water from the major cave systems emerges.